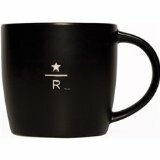 Starbucks 14 Ounce Logo Mug. This classic coffee mug comes in a glossy white bold finish with a large, very bold Siren logo. This is a new graphic from Starbucks. 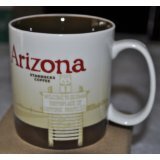 Starbucks Classic coffee mug available in a 3 ounce tasting cup, 16 ounce and a 20 ounce size. Comes with a pad printed drink size and a generous handle to fit anybody's hand. 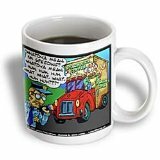 2010 Starbucks Hawaii Surf Board Beach Collector Coffee Mug. This is part of a series put out by Starbucks pertaining to the state of Hawaii. 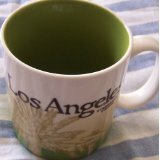 Has a capacity of 10 ounces and is constructed of high quality bone china that is only available in the Hawaiian islands. Starbucks Aloha From Hawaii Travel Tumbler Venti 20 Oz. 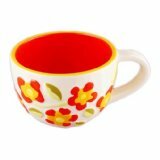 Starbucks Hawaii Coffee Mug Hibiscus Flower that has a capacity of 14 ounces. Part of the Starbucks Hawaiian series coffee mugs that are only sold at Starbucks stores located in the state of Hawaii. It is adorned with an Hibiscus Flower. Handle is speckled white with red hash marks. Measures 3" x 2" x 7"
Starbucks Retro Brown Coffee Mug from The First Starbucks Store in Seattle's Historic Pike Place Market. This mug has a capacity of 12 ounces of coffee or tea. This was sold in the famous Pike Place Market in Seattle. Started selling in 2008 and stopped in 2010. Alaska Starbucks Collectors Coffee Mug. This is part of a series from Starbucks. 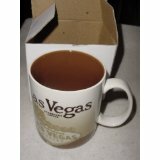 Coffee mug has a capacity of 16 ounces of coffee, and is also dishwasher safe. Starbucks Detroit City Series 2011 Mug. This is part of a series put out by Starbucks. It is Cream colored and off white and features a picture of the Spirit of Detroit. On the opposite side it shows the skyline of Detroit. 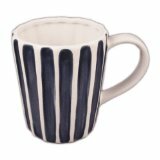 These coffee mugs are both microwave and dishwasher safe. Starbucks New York Cup Coffee Mug With Original Starbucks Box. This is part of a series that Starbucks puts out every year. Starbucks New York City Mug Special Taxi Edition With Original Starbucks Box. Part of a series of coffee mugs put out by Starbucks on occasion. Starbucks City Skyline Mug of New York. This is an off-white Starbucks coffee mug that has a blue skyline of New York ity. 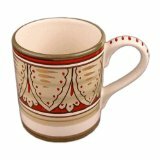 Starbucks Blue Brown Floral Coffee Tea Mug Cup NEW 2006. 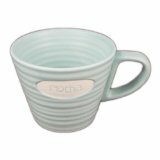 This coffee mug has a floral design in light blue with teal blue and brown. It is both microwave and dishwasher safe. 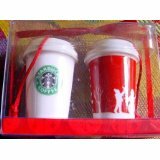 Starbucks Sip of Joy Holiday Coffee Cold Cup Gift Set. You get a limited edition travel mug with straw that is sure to become another one of Starbucks collectibles that might possibly go up in value with time. This is an ideal gift for anytime of the year, not just Christmas. Starbucks Stainless Steel Flip Lid 16 oz Tumbler Mug. Starbucks house Blend Ground Coffee 2.5 oz. Starbucks coffee mug with the Espresso Cat on both sides of the mug. Microwave safe mug. Recommend that you hand wash only, not dishwasher safe. Mug comes in either 11 ounce and 15 ounce sizes. Starbucks coffee mug. Nervous Starbuck's Driver Gets Citation Mug. Microwave safe but not dishwasher safe. Recommend hand washing only. Image is on both sides of the coffee mug.